grouser (Ludlow, United Kingdom) on 18 December 2018 in Documentary & Street. What a magical moment this makes . . and we all need magic. Superb find! I presume there is life inside that thing!!?? If so, it must be very hot indeed! I like the way the little girl is looking away, I wonder if she is scared of the big Koala. Great capture. He looks majestic..May be the little kid is not fascinated with his nose and smile !! As cute and cuddly as it may be, it can be very imposing and frightening to who they want to attract! :-) Happy ST! Happy ST. 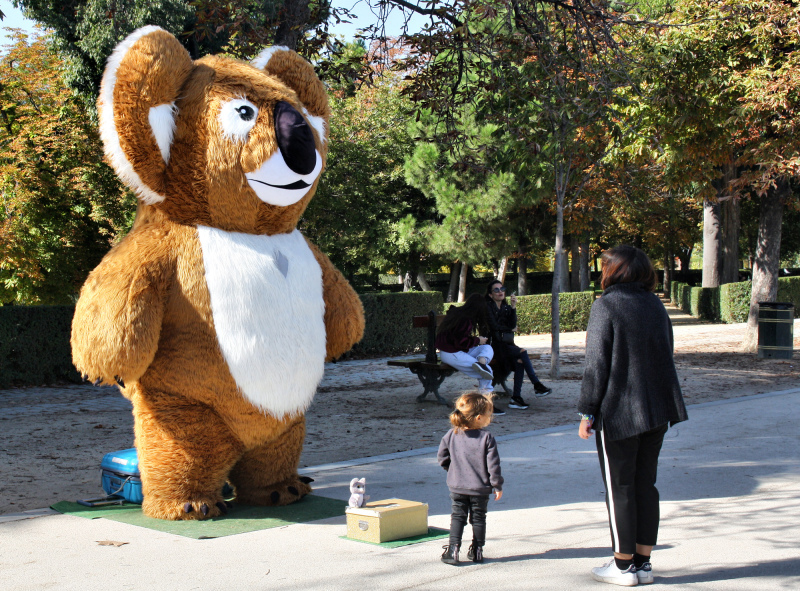 I love Koalas, but somehow when super sized, it is scary! Koala Kong looks harmless enough, but probably not to a wee little thing. A superb ST entry. This creature is so cute !! STraight out of a nightmare, STupendous STreet Bear. This is just too cute! He is definitely big! A wonderful scene! Happy ST!